By the way, I forgot to mention. 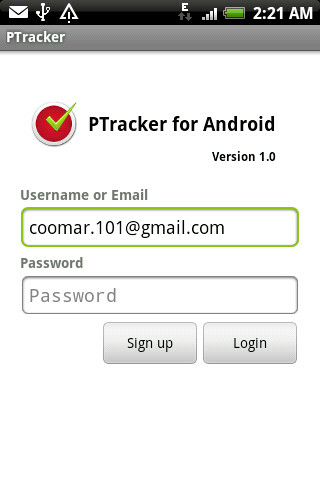 The source code for PTracker for Android can be found here on Github.com. If you would like to help me out, do let me know. Also, you can share your comments, feedback and suggestions. 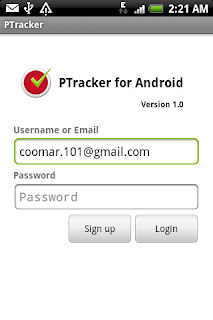 Ptracker for Android is a thin client for Pivotal Tracker for your Android powered phones. 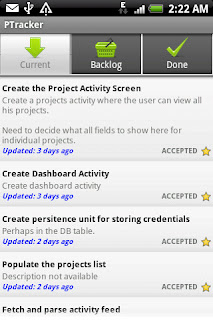 I have been working quite a bit on Pivotal and I think it's a great tool. 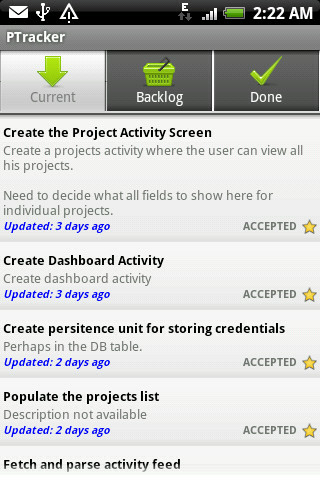 I sometimes need to have a look at my dashboard, or may be get a snapshot of what's happening out there in my project. 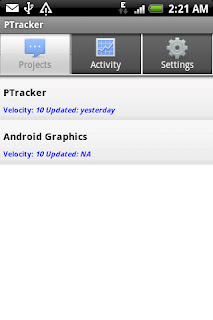 So, I searched for an app for my phone. I found a few, but none were good enough for me. So, I decided to work on that, and make a tool that would help people who use Pivotal Tracker a lot. This is what I have got after a few days of work. 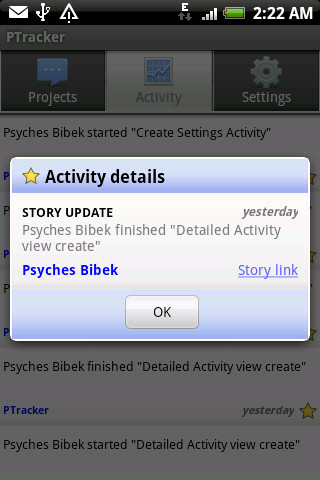 This is still under development. The greatest challenge in this is to manage the stories and keep them updated. 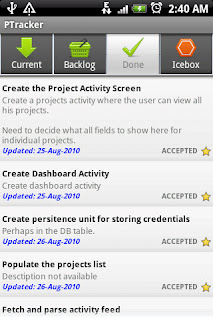 Some kind of real live syncing would make it an important tool for developers and product owners. Here are the first views. Hope you like it.